For the last few years Doggie Cakes has been making its own peanut butter to bake into our treats. I wanted there to be not extra added salts, sugars and all things we can't pronounce. The taste is scrumptious, you might never buy peanut butter again. 2. Roast the peanuts without any seasoning, in 350 degree oven for about 10 mins. Keep an eye on them, you don't want them to burn. 3. 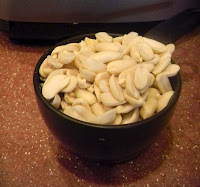 Let peanuts cool if you have roasted them. 4. Place all 3 cups of peanuts into a food processor. Pulse them 3 to 4 times. 5. This is where you need a little patience, let the food processor run for 10 to 15 minutes. This will continue to grind the nuts and release their nature oil. After about 10 minutes you will start to see a paste form, continue until you get the texture you desire. If paste it to dry you can add 1/8 cup of peanut oil. 6. Add the honey or cinnamon to taste. I recommend add a small amount at a time until you find the flavor you like best. 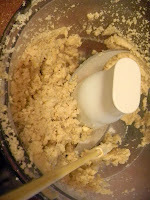 Pulse the peanut butter 2 more times to mix thoroughly. 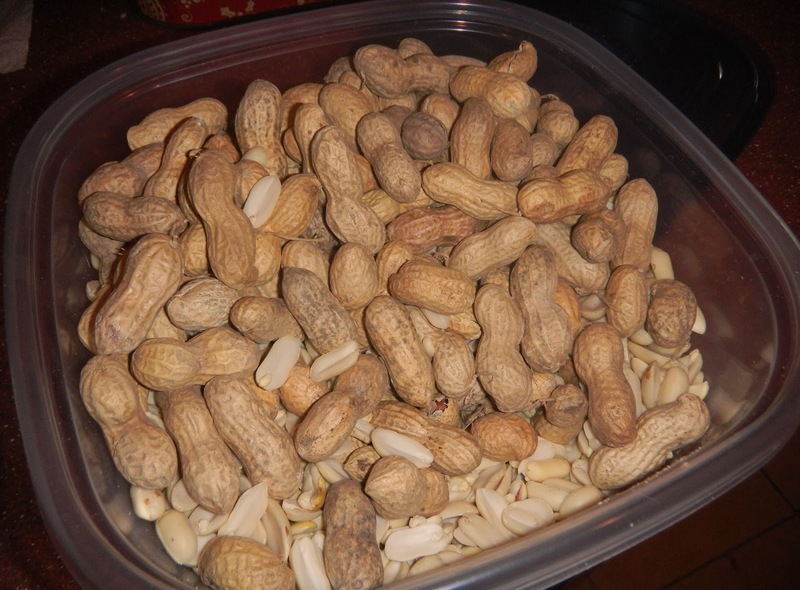 When using the peanut butter to make dog treats, I do not roast the peanuts or add in the extra flavoring. The treat recipe contains the extra for flavor and the peanuts are cooked during baking. Eat, enjoy and safe to share with your doggie kids.